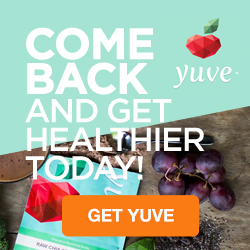 Awhile ago I was thrilled to discover Yuve Nutritional Shake. It was a plant-based protein drink with an absolutely delicious chocolate flavour, no weird aftertaste or chalkiness, and it even included one of my favourite things…chia seeds! You can check out the post about it by clicking below. Now, Yuve has done it again and created a super awesome matcha tea. When they offered Koko’s Kitchen some samples, I jumped at the chance to try them. I know that Yuve makes the highest quality health foods and I just loooove matcha! What exactly is matcha, you ask? Matcha is a high quality green tea grown in Japan. The tea leaves are grown in the shade and hand-picked each May. The leaves are then dried and ground by granite stone mills into a fine powder that retains all of the nutrients of the leaves. Unlike regular tea, you get the benefits of the entire leaf! Matcha has double the caffeine of regular brewed green tea, but still less than a shot of espresso. Part of what makes matcha so magical is that you just don’t experience the jitters that espresso, and coffee can give you. The caffeine has a nice, mellow, zen effect instead, thanks to various amino acids that slow down the caffeine release. SCIENCE RULES. Y’all know that I’m obsessed with chlorophyll, and matcha contains much more chlorophyll than regular brewed green tea. Just look at the crazy colour. 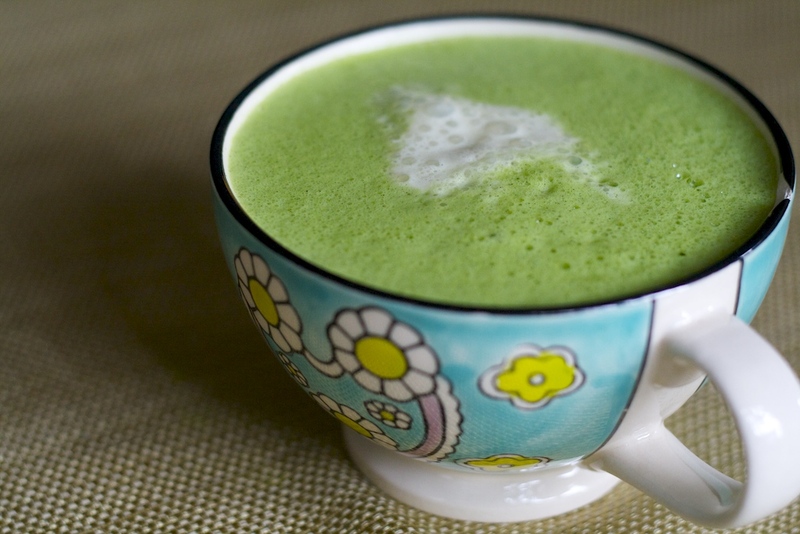 These matcha lattes are going to make the perfect start to St. Patrick’s Day! Don’t even get me started on antioxidants…matcha contains more antioxidants per gram than goji berries! Yuve matcha is a premium ceremonial grade matcha. It is sugar-free, non-gmo, vegan, raw and chemical free. Pretty cool, amiright? 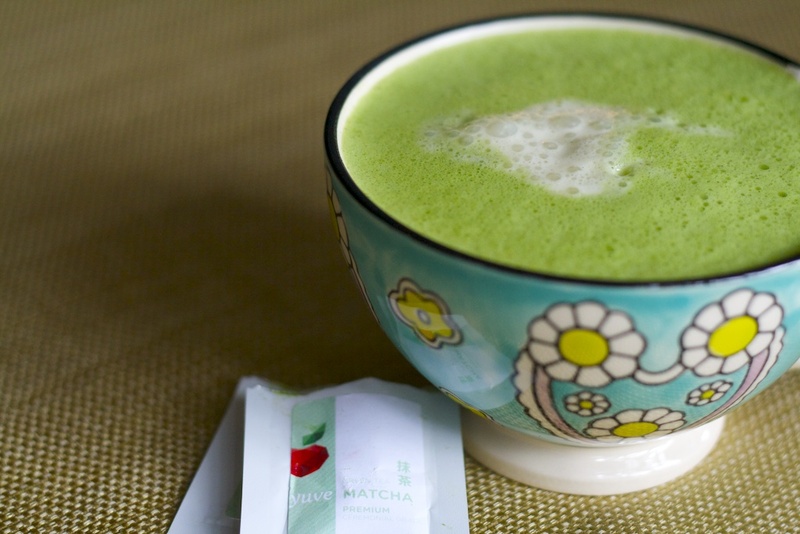 How does it stack up to other matcha tea brands? 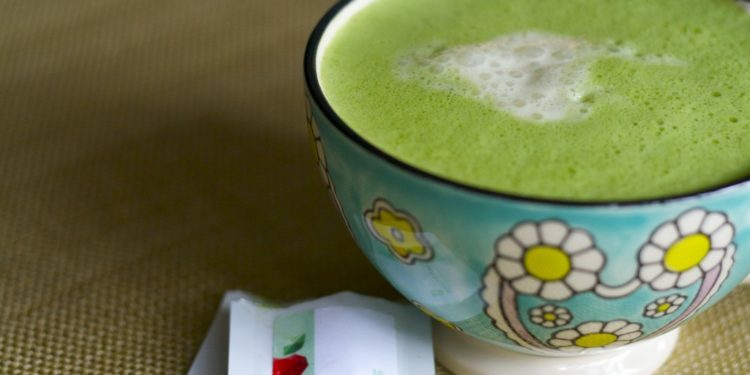 To be honest, I have tried many different matcha teas, even a white matcha which is quite unique. I have to say that none have ever tasted as smooth as Yuve ceremonial grade matcha tea. If you have tried matcha before, you will know that there is a definite bitterness to it. I don’t mind this much because I enjoy bitter foods (from dandelion greens to raw cacao) for their healthful qualities. Having said that, the lack of bitterness in this tea makes it so enjoyable and smooth. I think it would be much more appealing to the general public or those new to matcha. There is a subtle natural sweetness that I found to be super yummy. 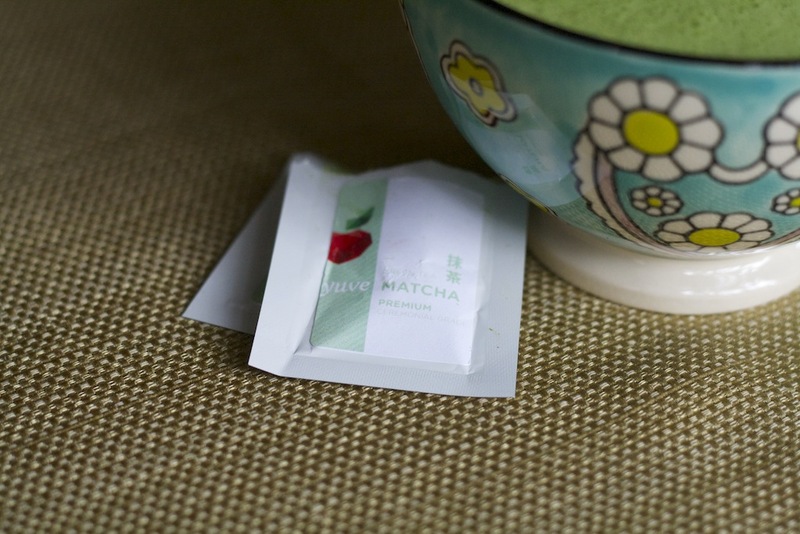 I think Yuve matcha would work particularly well in smoothie or baked good recipes, too! I am looking forward to making some matcha recipes myself…matcha donuts, anybody!? Matcha is traditionally prepared using a bamboo bowl and bamboo whisk and obviously this is ideal but I don’t see anything wrong with using a blender to prepare a matcha latte. If you have a high-speed blender like a vitamix this works really well. Add the matcha powder and the boiling water to the blender and give it a quick mix. Add the nut milk, vanilla bean powder, and optional chlorophyll and sweetener, is using. Blend for 1-2 minutes on high until nice and frothy. Taste and adjust sweetener as necessary. *Disclosure: I was provided with free samples of Yuve Matcha for review. The opinions and reviews presented here are solely my own. Some links contained within this post may be affiliate or sponsored links. Any link which leads to items/services for purchase outside this website may result in a commission to Koko’s Kitchen. Please be advised that this does not impact the price you pay.